Strange Odors in my Home or Office, Where are they coming from? There is an odor in my home or office. What can it be and where is it coming from? 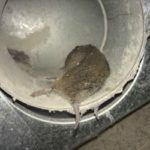 Home/Consumer Info, Frequently Asked Questions, Residential Duct Cleaning Articles, Seasonal, Uncategorized/There is an odor in my home or office. What can it be and where is it coming from? Advanced Furnace & Air Duct Cleaning is often called because of lingering odors in your home of office. Identifying the source of an odor and ultimately eliminating it can be a daunting task. The more information you can provide, the more likely we will be able to get to the root of the problem. Have you asked yourself, “What re these strange odors in my home or office?” First of all, take note where the odor is most prevalent if you can. Is the smell stronger when the HVAC system is running or is it constantly present? Do you notice it more when it is damp or wet outside? Do you see anything like a stain or visible mold in any area of your home or building? Can you pinpoint the odor to any certain area? What is the perception of your visitors? We all have different levels of sensitivity. Do they smell what you are smelling? Is it as strong? Have you had any services rendered to you home lately like pest and insect control? How about lawn services? Answers to these questions can help us to track down the source of the odor. Animals seek shelter in ventilation and duct work, because of inclement weather and to nest. In addition, animal feces and urine in an attic, crawl space or even in the duct work can cause odor. 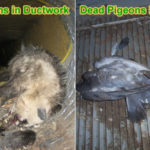 Deceased critters in your attic, crawl and duct work will leave an overpowering odor. Birds and bats can find a home in exhaust flues and dryer vents and their feces smell. Birds, bats, rats, mice, squirrels, and even racoons can cause some serious problems. Therefore, they must be removed, dead or alive, and the areas must be sanitized. Their dropping, hair and dander are allergens and could cause a serious health hazard. Odors could also be coming from your air handler as well. It is especially relevant to have your furnace inspected annually by a reputable heating and air conditioning professional to ensure everything is working properly. Things like the condensate drainage system can become blocked and cause water to leak and pool. Standing water could also be the cause of mold and musty smells. Also, the evaporator coils inside your furnace can become caked with dirt, pet hair and mold. 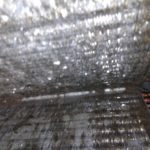 Dirty coils are often the cause of a musty smell when the furnace or air conditioning unit is running. We find issues that are totally unrelated to the system or a critter getting inside. A disconnected bathroom vent could send unwanted odors through the home. Most vent to the roof through the attic. We have found food and beverage stains in floor vents and in low wall vents-especially in a child’s room! Furthermore, some smells, like rotten eggs, gas and electrical odors could be a sign of a serious issue. If you smell gas or a rotten egg smell, open your windows, leave the home and call your gas company to investigate. If you notice what seems like an electrical odor or a burning smell, leave the home, call the fire department and your air conditioning and heating professional. Keep in mind that the first time you start your furnace each year you will smell some dust burning off. If this lasts longer than a few minutes, investigate further. Safety first at all times! Call Advanced Furnace & Air Duct Cleaning today for a free estimate. Mention this article and get a 15% discount and one free sanitizing!